drstorm, 08 Apr 2019Bluetooth version is a hardware related not a software.well it depends. The Essential for example simply released an update a while back to make the PH-1 bluetooth 5. This phone has been very good since the first day I picked it up. 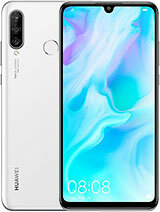 Had no problem since August 2018, and I still think there isn't one real competitor who can compete with it, as you can't find a relatively "cheap" phone with 4000 mah battery, oled screen, good dual camera, ip67, stereo speakers, 128 gb ecc. However, I'd like to ask some questions. 2) I know this phone was launched in October 2017, and cameras have been improving since then. I'm not saying my phone has a bad camera, but I'd like to know if there is a way to improve the general color gamut, as sometimes it seems it overexposures and oversaturates. drstorm, 09 Apr 2019I don't know from any hell you buy your phone, but are you sure it was brand new when you buy ... moreBrand new brother but fingerprint sensor didnt work anymore after a few weeks of use. Im pretty shocked too. Anonymous, 09 Apr 2019Been using the phone for like 6 months already and here are some of my frustrations: 1. The F... moreI don't know from any hell you buy your phone, but are you sure it was brand new when you buy it and not a badly refurbished one? 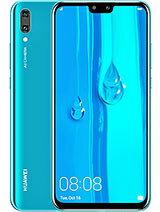 If you watch the tear down episode of JerryRigEverything for this phone, He confirms that this is the most durable phone Huawei ever made !!! 1. The Fingerprint Scanner - At first, it was blazing fast and really reliable. Then it stopped working all of the sudden. I was puzzled about that because I never damaged the phone or the scanner in any way. I went to settings a number of times but the fingerprint section in the settings just wont be clicked. I thought Android Pie would fix it but Huawei completely removed the fingerprint section in the settings in the update. 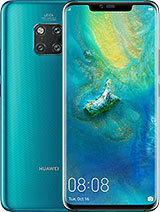 I felt left out as a user and that it felt like Huawei covered their product's imperfection through an update by completely removing the setting for the fingerprint scanner. 2. Camera - Oil painting-like shots in daylight. Night Mode turned into garbage after Android Pie. Unusable selfies too. Video recording is also bad. 3. Battery - Still the best phone I had that has the best battery but I feel like for a 4000mAh, it should do a lot more compared to my xperia z3's 3100mAh and xperia m2's 2000-ish mAh that last almost just as long as this. 4. EMUI - It's ugly as hell. I can't completely give ignore how ugly it is. It's almost unusable for me so I installed an Xperia theme on it. 5. 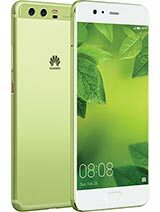 Native apps - Not hating Huawei but their native apps are just straight up garbage. 6. No SD Card and Headphone Jack- I bought this phone knowing it doesnt have both of them, but I still long for them. Dont get me wrong, I really love this phone and I think there still isnt a phone thats worth the upgrade for me from this. 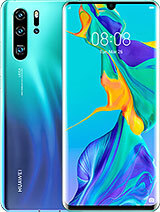 The P30 Pro and s10+ are close contender but they arent an upgrade for me. Maybe the next Mate i guess. Joe, 07 Apr 2019They do, I use Evie with all black background and lines icons for best amoled minimalist feel.... moreOh okay, I'll try it. Thanks. Most of the picture taken by this phone all looks like oil-painted drawing, especially if there is face in the pic.. very bad.. 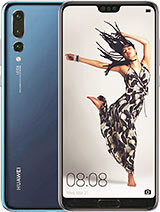 Already turned off AI, beauty etc, still Huawei overprocessed approach killed this beauty beast..
ALEK$, 26 Feb 2019will this ever get a 5.0 bluetooth update? Why no external memory slot? Bluetooth version is a hardware related not a software. you can mange all app launch manually for (boot, secondary launch and run on background) from the battery management, that will solve the high consumption of battery. Anonymous, 03 Apr 2019So launchers dont work on this phone anymore right?They do, I use Evie with all black background and lines icons for best amoled minimalist feel. RGB keyboard also. So launchers dont work on this phone anymore right? 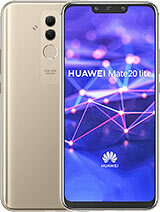 is this phone have hybride sim slot? Anonymous, 23 Mar 2019It's a pieces of junk... It lag on mobile legends whille my spare cheap lousy phone dint . Mos... moreI dont know what your talking about. I use this phone as a daily driver and I play Mobile Legends a lot. I've never seen it lag or hang on me while playing Mobile Legends except when someone gives me a call. 2. No supercharge even with the original charger, only stuck at quick charging. If i monitor with Ampere Meter, the current stuck at 3000mAh only. I received update with this build number 9.0.0.211 . After i received this patch almostly solved all problem. It fix battery broblem and change screen quality amazing. 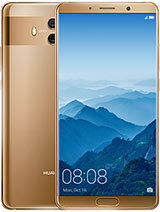 Final update that huawei. Promise will be huge with this build 9.0.0.226 will come llast month. 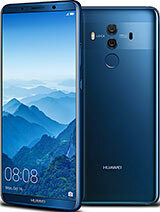 Total of 1360 user reviews and opinions for Huawei Mate 10 Pro.